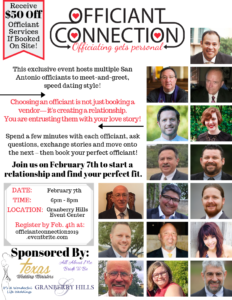 Join us for the second Officiant Connection hosted by Texas Wedding Ministers! Choosing an officiant is not just booking a vendor- it’s creating a relationship. You are entrusting them with your love story! So join us February 7th to start a relationship and find your perfect fit. 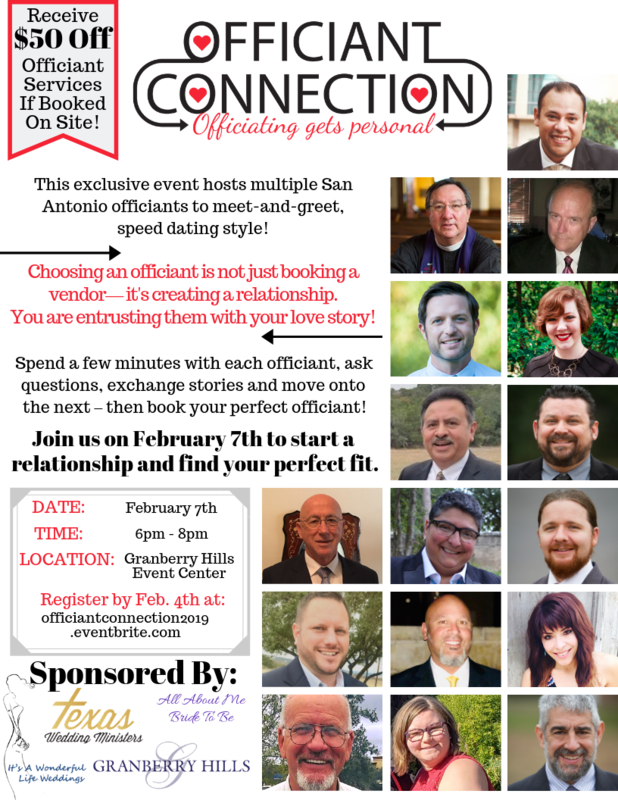 Find San Antonio officiants all in one place in a meet-and-greet speed dating style! Spend a few minutes with each officiant, ask questions, exchange stories and move onto the next- then book your perfect officiant! Couples will get the chance to meet with the following officiants at the Officiant Connection! And Our San Antonio Wedding Minister Team of Texas Wedding Ministers!